If this office fit out project in Perth was intended to be our ‘showcase’ extreme before and after case study then it could easily be thought that these pictures are not real! 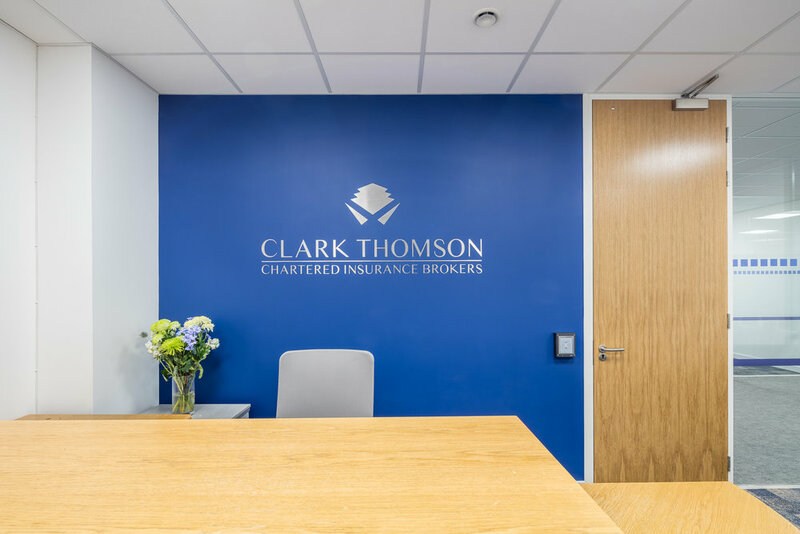 Clark Thomson Insurance Brokers is the largest independent insurance broker in Scotland. When Sean O’Reilly first asked us to come in and meet him it is fair to say that the transformation we achieved was not even a figment of his imagination. This was not the first time that Sean had initiated office fit-out works but this was the first time he worked with a company who could look after the entire process from initial design concept meetings to the final handover and staff move. Here at Amos Beech we are not simply an office fit-out company, we are much more than that and this project epitomises our approach. Before starting the design process we interrogated and challenged the business model to establish whether or not their head office building was still a ‘fit’ for them and if it wasn’t, what would be their options. From this we were able to rationally come up with a realistic budget to refurbish the building in a way that didn’t restrict the growth plans for the business going forward. From here we were able to reshape the space around the current and known future needs of the business and integrate, into the design, subtle branding to bring out the values of Clark Thomson. Core to the success of this project from a business performance perspective was the opportunity to bring the three teams together onto the same floor. The immediate difference this has made in terms of collaboration and improvements have been noticed. Freeing up the ground floor has meant that a complete suite of meeting rooms and client interview rooms has been created. As staff numbers increase, the need for amenities also increases and to meet this additional tea-prep, staff break-out space and toilet upgrades were also completed as part of the project. 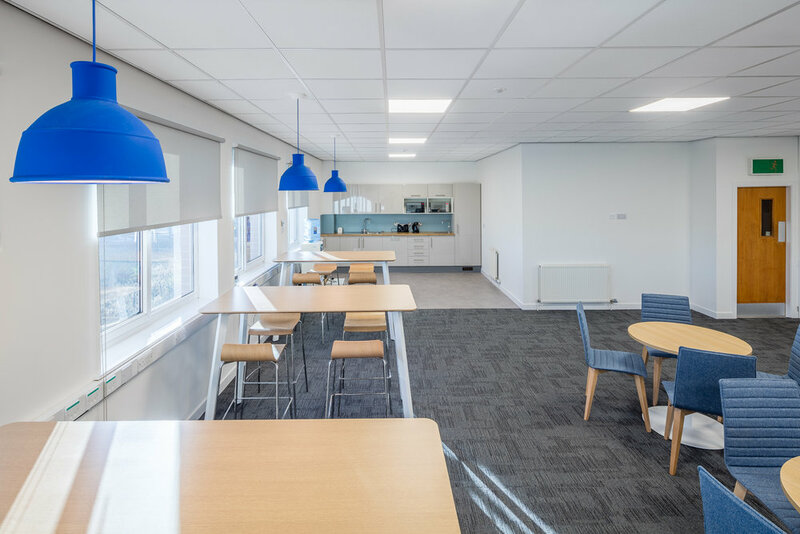 To create the ambience that we felt was right for a large open plan office we made sure that the area was flooded with as much natural light and complemented by new LED low energy light fittings. Completing the look and feel of the interior design, the team also incorporated some large scale images onto the storage wall elevations and also on a large wall in the staff break-out area. The finished result is a bright airy and inspirational space that everyone is using instinctively which is sound testament to the integrity of the design process and the skills of our excellent team of professionals.